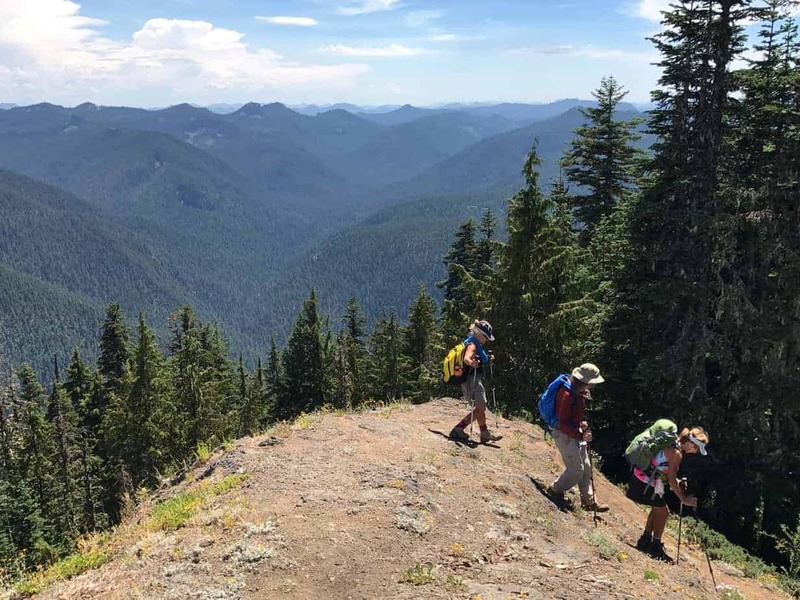 If you’re looking for a pretty easy hike with great views of the Oregon Cascades, Whetstone Mountain is a good place to start. 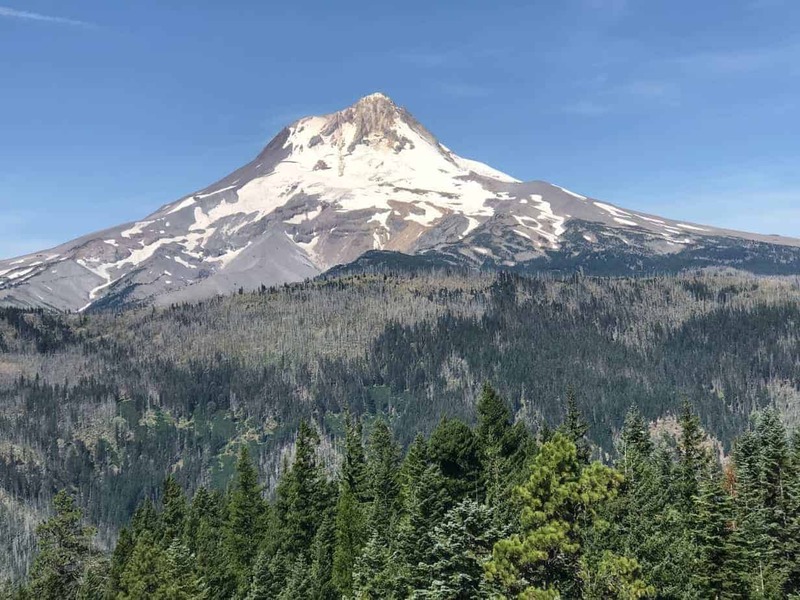 Battle Axe, Battle Axe Creek drainage and Mount Jefferson. 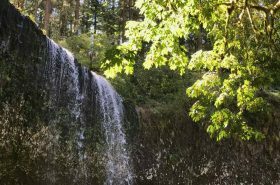 It’s kind of a long drive, but I recommend it if you’re spending a night camping in the area, like along the Clackamas River. 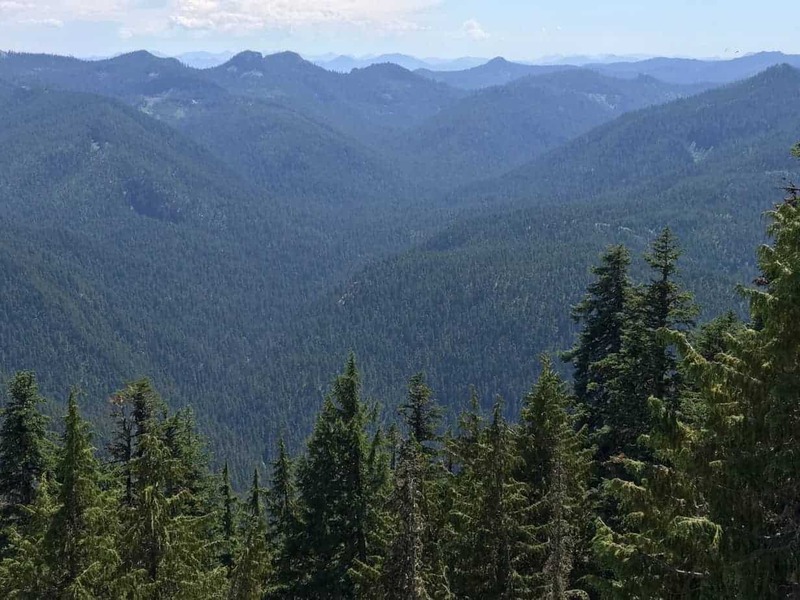 The hike is less than five miles roundtrip to an amazing viewpoint. There are lots of amazing viewpoints around, of course, but this one is cool because it’s small and open, so you really feel almost like you’re flying. 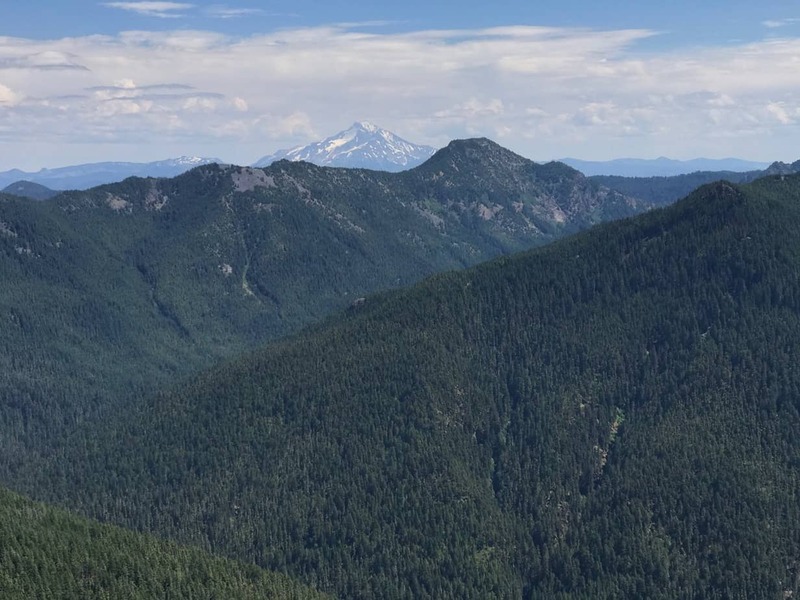 There is a terrific view of Mount Jefferson, but most of all you get a birds-eye view of the whole Opal Creek Wilderness, plus the opportunity to compare that view — what the forest once was — to what the forest has become. Oh, and you’ll drive right by some hot springs on the way back. 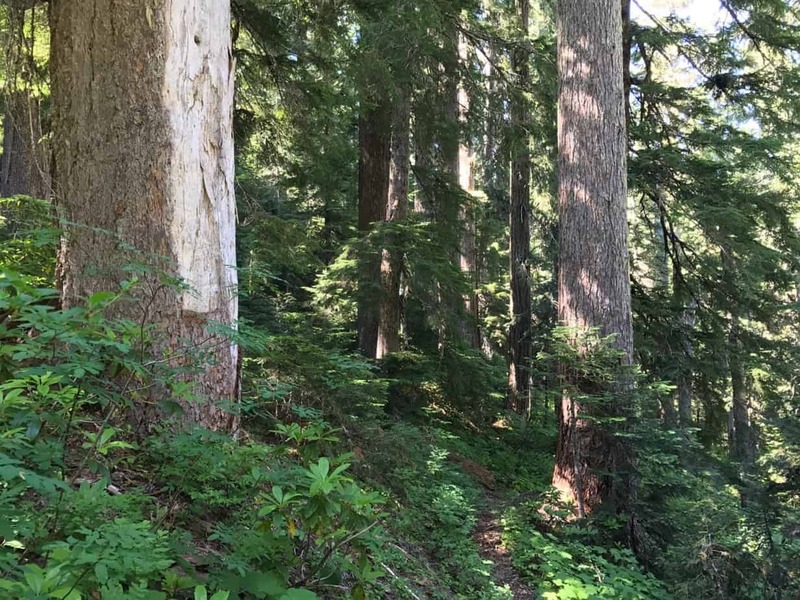 The drive (directions here, from Oregon Hikers Field Guide) is tedious, and the trailhead is in a clearcut, but very soon you drop down the hill and into the Bull of the Woods Wilderness. The change is pretty stark. The real forest starts about a quarter-mile in. Then you just wind up the hill about a mile to a junction on the ridge, to join Trail 3369. 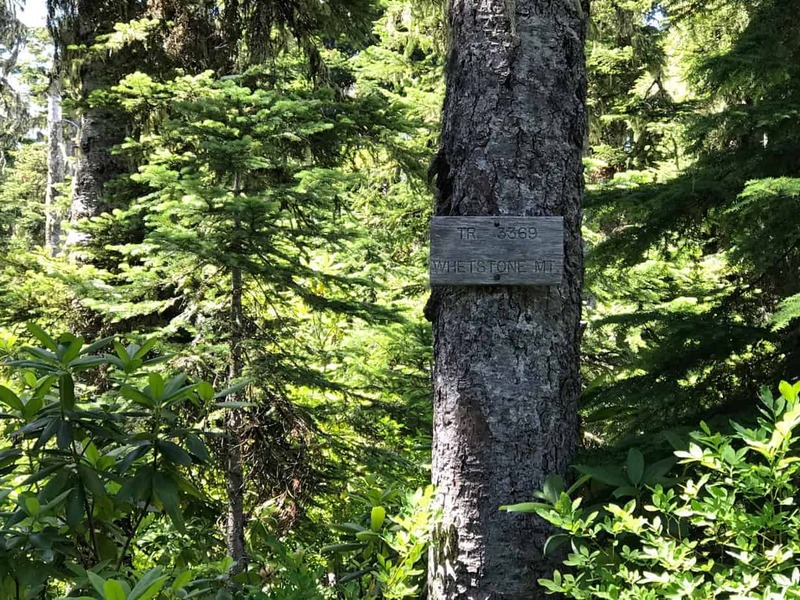 The trail numbers here go from three digits to four because you have just hiked form Mount Hood National Forest to Willamette National Forest. Look at you, all covering ground and stuff. After another mile, take another right, and in less than half a mile, you’re done. 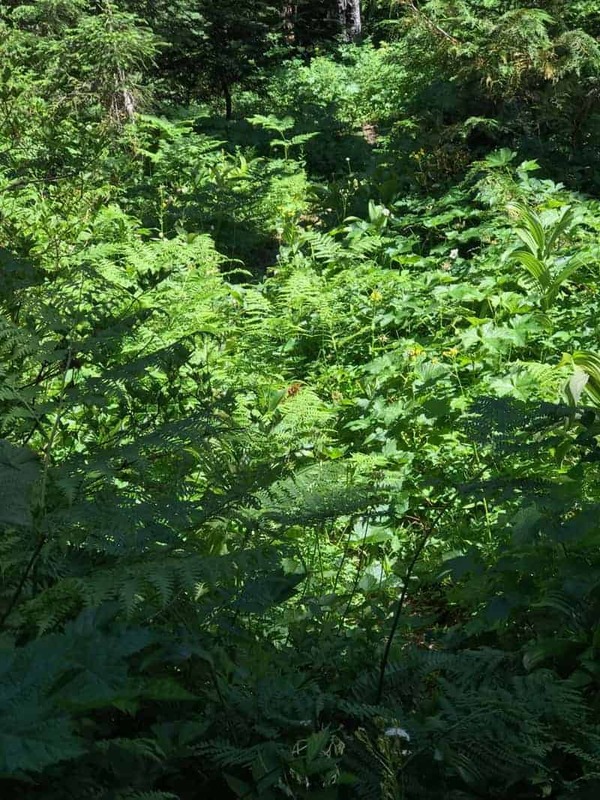 It never gets too steep or sketchy, and then all of a sudden, bang, there you are, at the site of a former lookout tower. 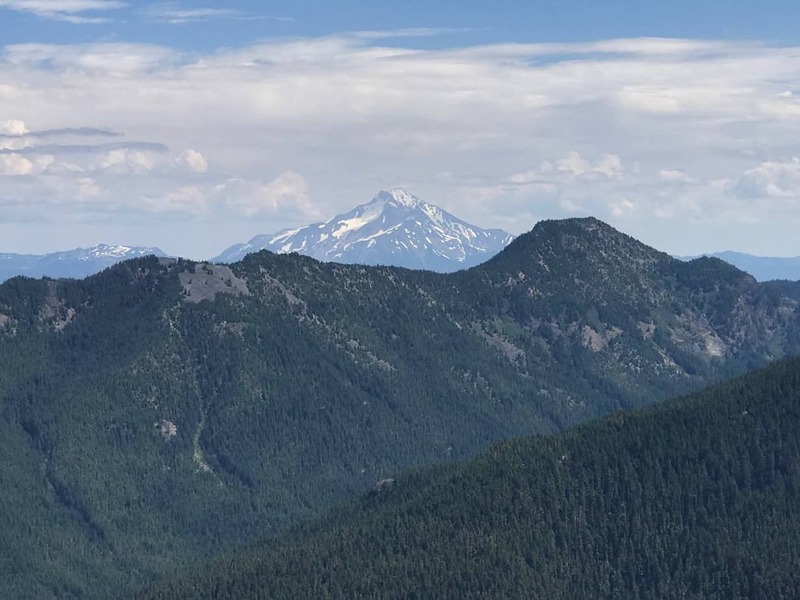 If it’s clear, you’ll be able to see from Mount Rainier to Diamond Peak, south of the Three Sisters — a total distance of about 225 miles! 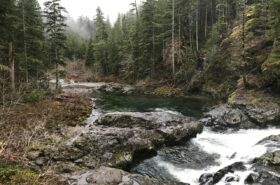 And stretched out below you is the whole of Opal Creek Wilderness, with Opal Creek pointing at you and Battle Axe Creek coming from the left, down from flat-topped Battle Axe Mountain that you see right in front of Jefferson. 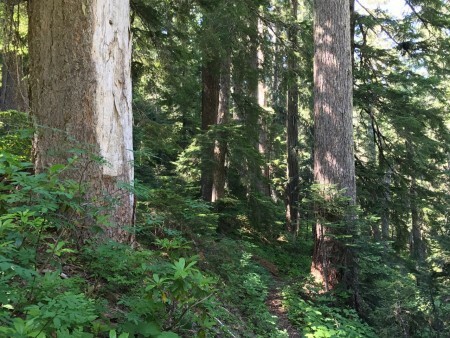 That last right turn, by the way, took you off the Whetstone Mountain Trail, which goes down to Opal Creek. If you want to do this the hard way, head there and do that 3.5-mile, 2,700-foot lungbuster. 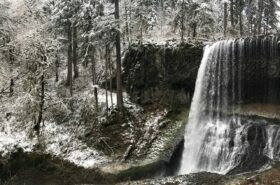 Another advantage of going this way: On your return drive, you will go right by Bagby Hot Springs. Enjoy. Here is my Gaia track, which you can see in full here. Somehow the mileage didn’t come out right; it should say 2.4 miles. Trail gets a little brushy in spots. 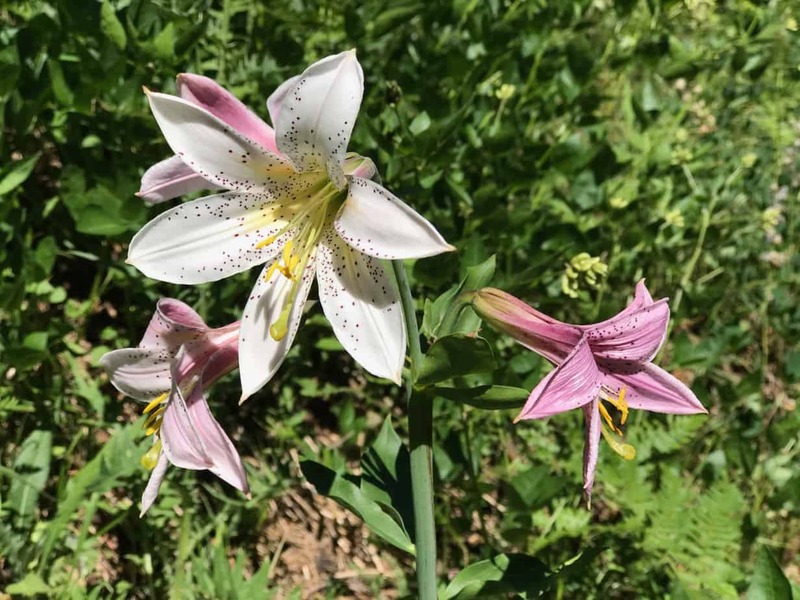 Beautiful Washington Lilies near the summit. Thanks to reader JM for the ID! The tiny summit of Whetstone Mountain. 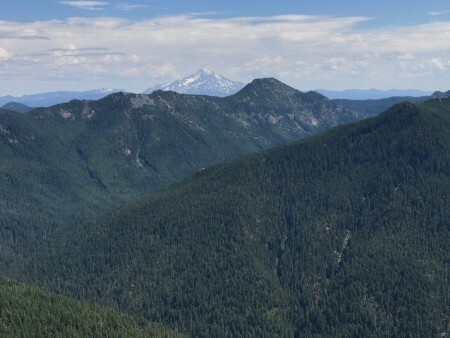 Opal Creek Wilderness from the summit. Read more Portland hiking stuff here. Buy signed books here. I also write about life in a taxi, English soccer, and being in recovery.